My friend Jane Aumann and I went to Chicago on a mission to see beautiful architecture and art in Chicago. I wanted to see art in unexpected places and in the curve of a doorway, the art deco design over a window and the sculptures which never cease to amaze me. This pursuit led us to the Chicago Art Institute where we found ourselves circling the building looking at the beauty of the outside before heading to see the art inside. While walking around the outside we were lucky enough to stumble onto a tour where the guide offered to let us listen in. 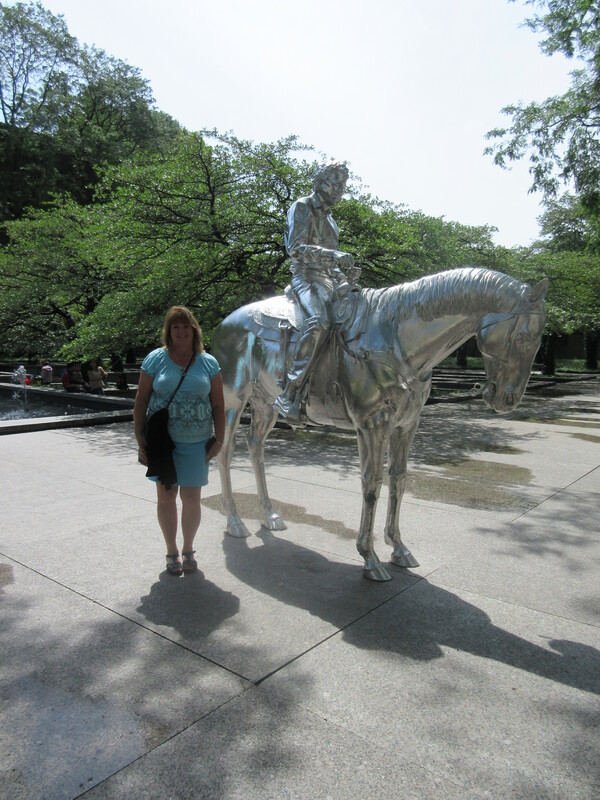 We were right next to a statue of a man on a horse that was comprised of machined aluminum and stainless steel. The sculptor, Charles Ray is reflected in the man on the horse. Intrigued with his statue, this was the prompt besides a desire to see the Degas exhibit that brought us inside the building. The building is a piece of art on its own. The Art Institute of Chicago was founded as both a museum and school for the fine arts in 1879 just a few short years after the Great Fire. The moved to its permanent home in 1893, in the lovely building that was constructed jointly with the city of Chicago for the World’s Columbian Exposition, at the intersection of Michigan Avenue and Adams Street. While the building has been added onto over the years, the front door entrance is guarded by the bronze lions. Reading artists names like Monet, Ruben, Picasso and more is an awe inspiring thing. While the paintings caught our eye, we looked at everything from pottery to furniture then the Charles Ray exhibit where we happened on a Cletrac tractor sculpture of all things. (Look for a story about this in an upcoming issue of Heritage Iron). When I walked away from the museum there were many things I saw that remain in my memory, but the piece of art that touched my heart the most was a picture of the Madonna crying after Jesus died. You can see tears in her eyes and their track down her cheek. The Art Institute is a great place to visit and check out your favorite artists. You never know what may inspire you or our loved ones. 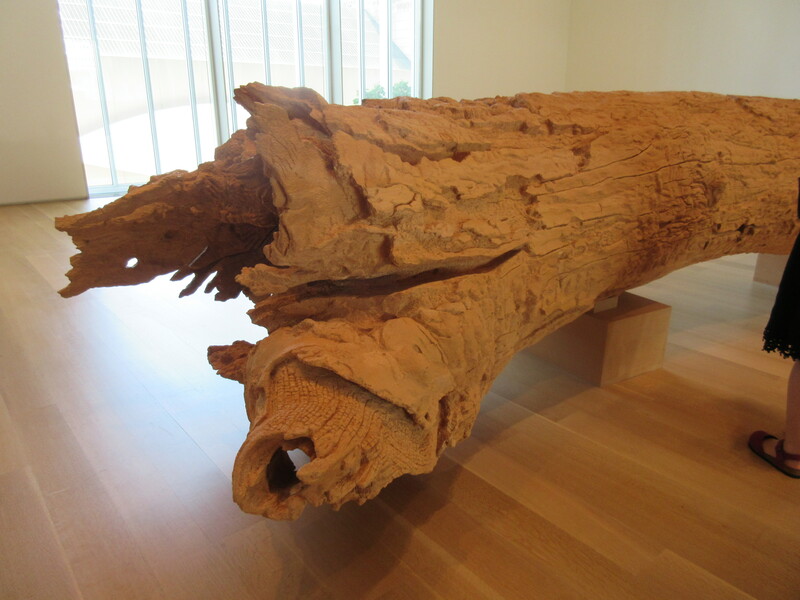 Jane’s favorite piece was a wooden crucifix from the early 1300’s. Art exists here in the building, the surrounding gardens and the special displays offered. While not everything will be everyone’s piece of cake, there is something for everyone. Log onto http://www.artic.edu/ for more information.